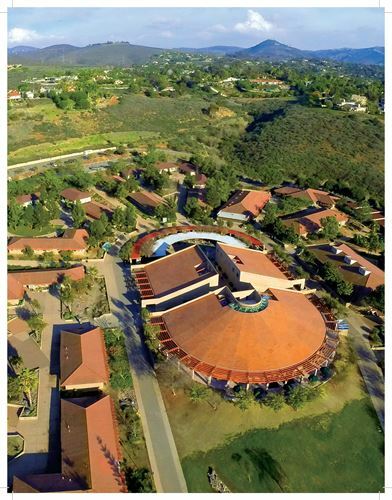 La Costa Canyon High School’s self-study process began in earnest in the spring of 2016. During this time period, the principal established the self-study coordinator. The self-study coordinator, the principal, and the assistant principal overseeing the WASC process established the leadership team and focus group leaders. The self-study coordinator and the assistant principal overseeing WASC started gathering data. The self-study coordinator started establishing general and specific timelines for the self-study process, and oriented the leadership team to the self-study process. Finally, the self-study coordinator oriented the school staff to the self-study process. In the summer of 2016, the self-study coordinator continued to plan the self-study process for the 2016-17 school year, to gather data, and to meet with focus group leaders. In the fall of 2016, the self-study coordinator and the assistant principal in charge of WASC established the parent home group, the student home group, and the classified home group; the certificated teachers met with their respective department as their WASC home groups. All stakeholders met in their home and focus groups throughout the fall. The self-study coordinator wrote chapters one and two of the self-study, providing access to staff via Google Drive, and encouraging comments and additions from the staff. The self-study coordinator also reported on progress and gathered feedback at the department chair meetings. Focus groups and home groups met from September 2016 through February 2017. The process was set up as a “jigsaw”; that is, the members of each focus group met to discuss their chapter 4 area and found gaps in their information, so they then went to their home group to help fill in those gaps, and reported the information back to their focus group. The data review and analysis occurred during these meetings. Staff looked at the previous self-study report from 2011, and examined how the school had progressed in the last six years. The themes and critical learner needs then started to emerge. The leadership team, which included focus group members, met periodically to discuss the themes and collaborate on all the chapters. The focus group leaders took information and analysis gathered from the meetings back to their focus groups. In the spring of 2017, after the home and focus groups had completed their work, the leadership team, including focus group leaders, met to discuss and collaborate on the action plan. In the summer of 2017, final edits and revisions were made and the self-study was published. On October 22-25, a WASC visiting committee will visit the La Costa Canyon High School campus to observe all that LCC has to offer, to celebrate its accomplishments, and to make final recommendations for improvement.